Considered by many to be the top vapor barrier brand on the market, the SilverBack™ crawl space vapor barrier lineup is one of the very best in the industry. With over 80 different reviews that we were able to find on it while comparing other top liner reviews, the SilverBack was the most reviewed averaging 4.88 stars out of 5. Out of all the 12 mil barriers on the market, the 12 mil SilverbackBack™ is among the highest reviewed and used. The 12 mil vapor barrier brand is found at CrawlSpaceRepair.com and other affiliate websites. For those of you that may not know Crawl Space Repair, they’re an industry leader when it comes to crawl space materials and products. The SilverBack™ is found in a 12 mil size and a 20 mil size. The details in this page is only concerning the 12 mil size. Here at 12milcrawlspacevaporbarrier.com, we usually recommend the 12 mil crawl space vapor barrier for crawl spaces that have medium volume traffic and storage in the crawl space. Out of all the 12 mil barriers on the market, the 12 mil SilverBack™ is one of the highest rated. 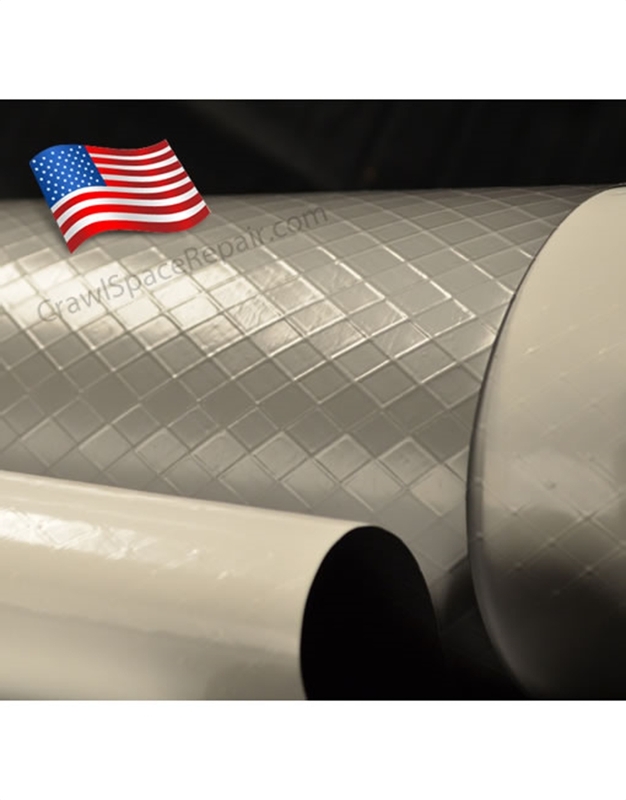 This crawl space liner is made in America and again, it can be found at Crawl Space Repair and other associated websites. This 12 mil has a basic string reinforced vapor barrier that is commonly compared to the other top brands in the industry with the same pronounced thickness, 12 Mil. Actual 12 mil is equal to .012″, not 12mm. The SilverBack™ 12 mil crawl space vapor barrier does not contain additives and is reinforced with a 1000 denier polyester cord to stablize the layers and prevent the vapor barrier from ripping. This 12 mil vapor barrier is used in encapsulating a crawl space. The SilverBack™ 12 mil is 13’4″ wide with a 82′ core. It equals 60 pounds of plastic per 1000ft. You can use their on-site shipping calculator to get accurate cost. Shipping is free on orders over $200 in the lower 48 states.